In October 2017 we premiered a demo named Astral Necrosis by the Italian band Devoid of Thought, whose name I thought would also describe the mental state of listeners exposed to the demo’s three tracks. The music was a whipsawing amalgam of death metal and thrash, with the kind of fireball instrumental performances and brain-spinning intricacy that might lead one to slap a “progressive” label on the ingredients as well — except the music seemed too maniacal and vicious for that word. It was insanely good, and also just insane. 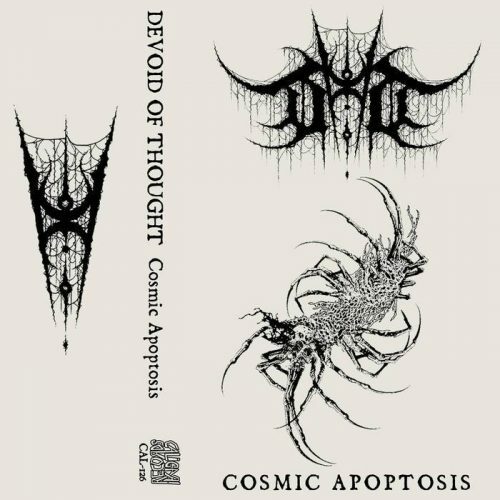 Devoid of Thought are now returning with a fresh batch of insanity in a new demo entitled Cosmic Apoptosis, via the same Caligari Records that released the first one. One of those new tracks, “Tomb Marauders Horde“, is the first item in today’s round-up. “Dizzying” and “dread-inducing” are among the words that Caligari uses to describe the new demo. Accurate. A feeling of dread is indeed induced by the slow, gloomy guitar in the song’s opening, but it soon enough becomes dizzying as the band gradually ramp up to a battering, swarming, roaring frenzy. They inject some jackhammering, head-hooking bursts of riffage into the melee, but the array of boiling, skittering, and angular leads portray delirium. On March 26th Pittsburgh-based Slaves BC released a digital single named “Least of These“. It’s a new mix of a track that was originally recorded for the Christian Alliance for Orphans benefit compilation. Lyrically, the band describe it as “a response to the current vile political crisis in the United States,” specifically “the anti-Christian and disgusting views on ‘illegal’ immigration and the ‘pro-life’ movement that only cares about babies until they are born”. “The current administration is built on white-supremacy, misogyny, homophobia, and fear”. My comrade Andy described the band’s last album, Lo and I Am Burning, as a “grimmer, grittier, and much more Black Metal focussed sound” than the band’s first album, “whose blend of squalling dissonance, sludge-drenched ugliness, and visceral, howling anguish recalls both Lord Mantis and Cobalt“. “Seriously savage” and “nerve-wrackingly intense” were other descriptors Andy offered for the album, and they apply equally to this new single. The music is as bleak as a sucking chest wound, and the fury in the lyrics comes through loud and clear in Josh Thieler‘s cauterizing shrieks and the viciousness of the riffing. The song becomes increasingly dissonant and distraught as it winds along its disturbing path. Not easy listening, but we don’t live in easy times. This next song represents a change of style from the ear-abrading, mind-mauling music in this round-up’s first two offerings. It’s also not a brand new song. 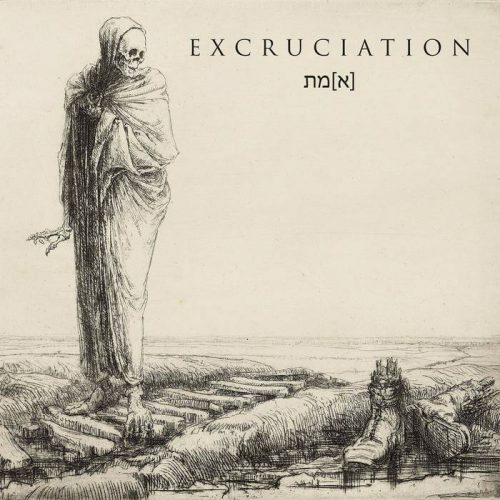 The track I’ve chosen comes from a compilation of rare songs that have been recorded by the long-running Swiss doom/death metal band Excruciation since their reunion in 2005. A total of 16 tracks appear on the compilation, which is entitled [E]met, and they were originally written for splits, sampler contributions, cover versions, and B-sides; most of them were only released on vinyl or MC. All of the tracks are now available for streaming, but the one that has really hooked me is “Libya 1942“, which was released through a music video that includes footage of the World War II conflict referred to in the song’s title. In its first three-and-a-half minutes, the mid-paced music is mountainously heavy and regal in its gloom, and in its own catastrophically doom-stricken way, quite beautiful. After that magnetic opening sequence, the song becomes more violent, summoning visions of warfare and bloodshed, before final reprise of that powerful opening sequence. I also quite like the sound of Eugenio Meccariello’s full-throated bellows. [E]met was released by Auric Records on March 22nd. The doom-y vibe of that Excruciation track influenced my decision to end this round-up with the following song by the Russian pagan/doom band Amber Tears [Янтарные Слезы]. 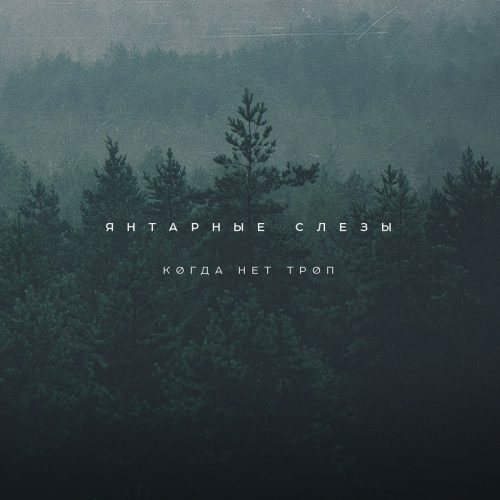 It comes from their new album When No Trails [Когда Нет Троп], which will be released by BadMood Man Records on March 29th. The song, “Спой Ветер, Спой Ворон” (“Sing the Wind, Sing the Raven“), has thoroughly captivated me. Its mood is wintry and haunting, steeped in sorrow down to the marrow, but also glorious. The gleaming, tear-stained melodic riff that first emerges just before the 1:00 mark got its hooks in my head immediately, and every time it resurfaced it was just as penetrating. The deep, growled vocals are extravagantly powerful in their emotional intensity, and make this already-powerful song even more intensely moving. There’s a lot more to like, including the beautiful swirling solo that emerges in the song’s back half, when the song becomes more vibrantly anguished.